A = area(mesh) returns the area A of the entire mesh. [A,AE] = area(mesh) also returns a row vector AE containing areas of each individual element of the mesh. A = area(mesh,elements) returns the combined area of the specified elements of the mesh. Generate a 2-D mesh and find its area. Generate a mesh and plot it. Compute the area of the entire mesh. Generate a 2-D mesh and find the area of each element. Compute the area of the entire mesh and the area of each individual element of the mesh. Display the areas of the first 5 elements. Find the combined area of the elements associated with a particular face of a 2-D mesh. Find the elements associated with face 1 and compute the total area of these elements. Find how much of the total mesh area belongs to these elements. Return the result as a percentage. Element IDs, specified as a positive integer or a matrix of positive integers. 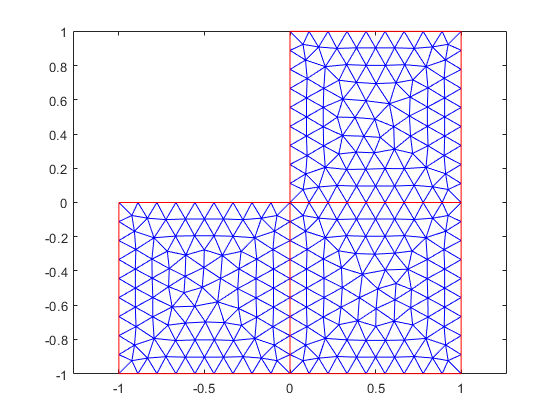 Area of the entire mesh or the combined area of the specified elements of the mesh, returned as a positive number. 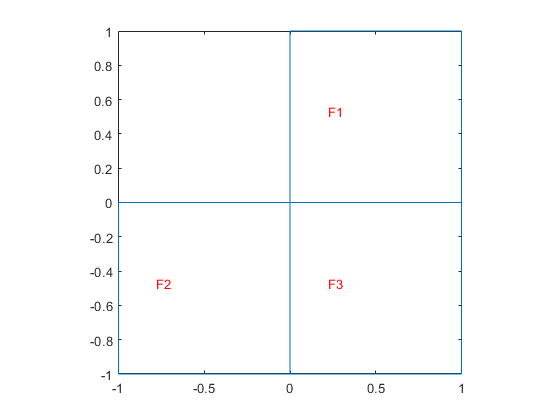 Areas of individual elements, returned as a row vector of positive numbers.